Get a taste of Kazakh cuisine at our Silk restaurant with the Mezzeh Variety – including delectable Shish Tawook skewers. 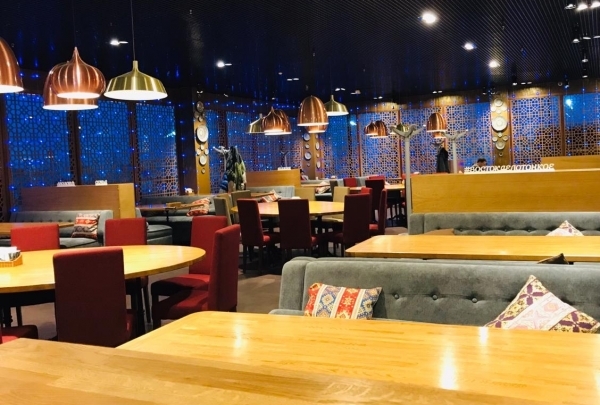 Our Atyrau hotel on the banks of the Ural River is the perfect spot from which to explore Kazakhstan’s rich blend of European and Asian culture. Get a taste of local cuisine at our in-house Silk Restaurant, and if that whets your appetite for more delicious fare, local Navigator Denis has the inside scoop on the best places to eat right outside our doors. 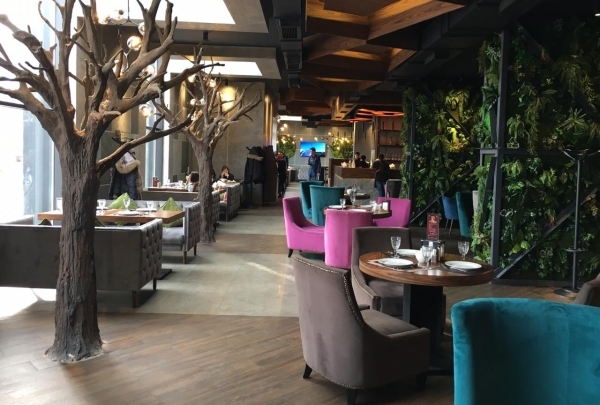 Try the Turkish fare at Sancak or sip a cocktail at the locally renowned Cinzano Bar. The hotel itself offers state-of-the-art business facilities, refurbished lobby and health club equipped to a tee with latest machinery to help you unwind and keep in shape. 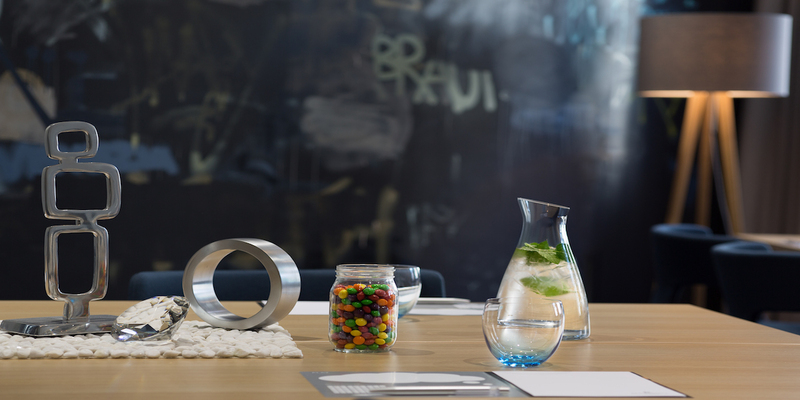 The place includes great food, cool music of a disco and modern loft design. Barmaglot is like a fairytale of Lewis Carroll where everybody has an opportunity to run away from their routine for a couple of hours. 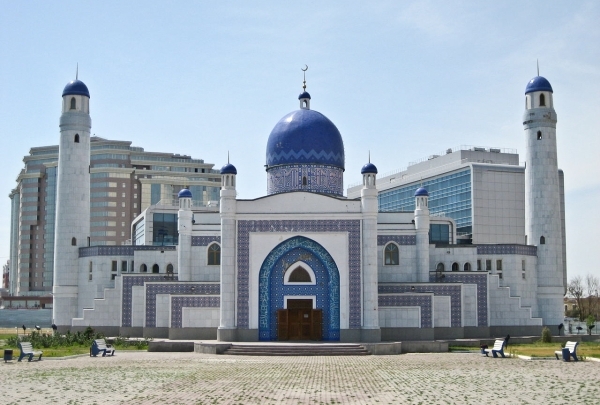 Imangali Mosque is considered as the main pride and joy of the city of Atyrau . This mosque was opened in 2000 and is named Imangali in honor of the governor of Atyrau in that period. Towering over 23 meters, the dome of the mosque has a diameter of 7 meters! Inside you can find 2 different halls for praying - the bigger one in the center and the smaller one dedicated specially for women. 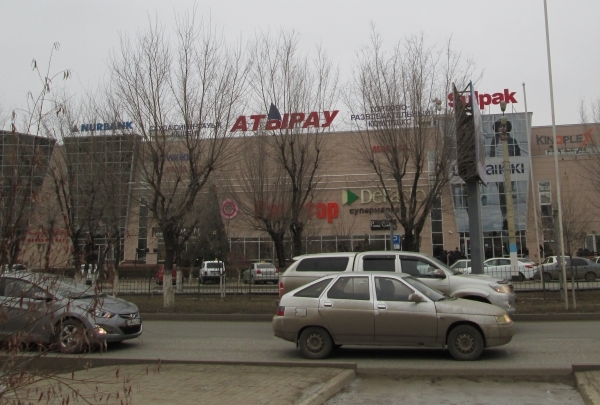 Check out Atyrau's main shopping mall. Browse through many high-end shops, dine at delicious restaurants and have fun in the bowling zone at this large shopping mall. 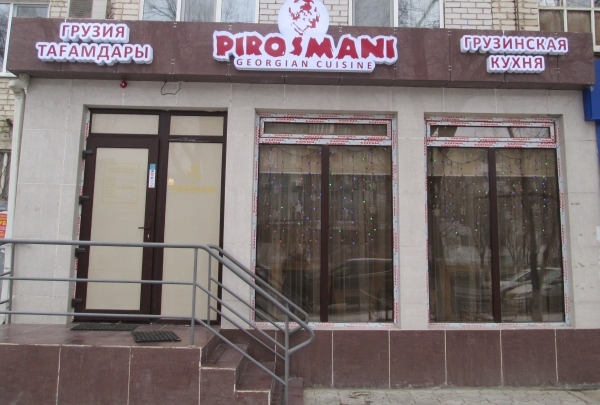 Dive into the authentic and eclectic flavors of Georgian cuisine at Pirosmani. 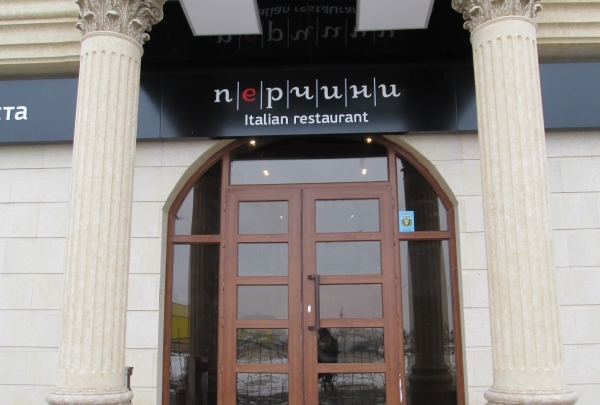 This restaurant serves up delicious Georgian fare and is a great spot to try some new dishes. 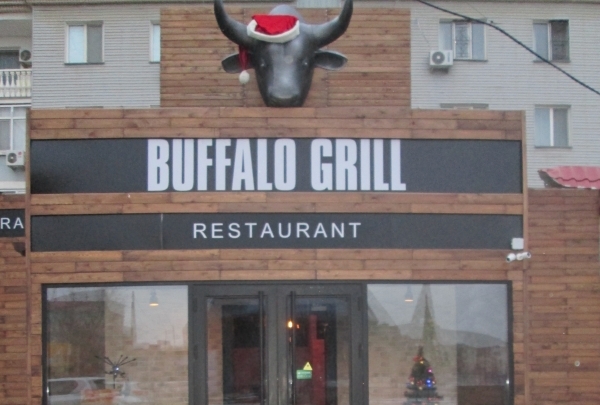 As the name suggests this is a steakhouse and we must say it’s a good one! Not only for those who love a good steak, the restaurant also offers a variety of dishes (however most are meat-based) A pleasant atmosphere and a friendly staff also adds to the whole experience. Whether you like steaks or not, it’s a great place for add to your eating out list! Pair one of Buffalo Grill's hearty meat dishes with a bottle of wine from their extensive wine menu and you are sure to have a memorable evening. 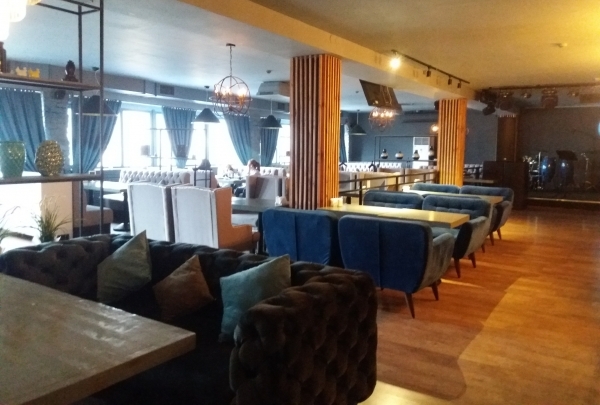 This sophisticated spot boasts soft leather furniture and sophisticated interior decor that is sure to impress. 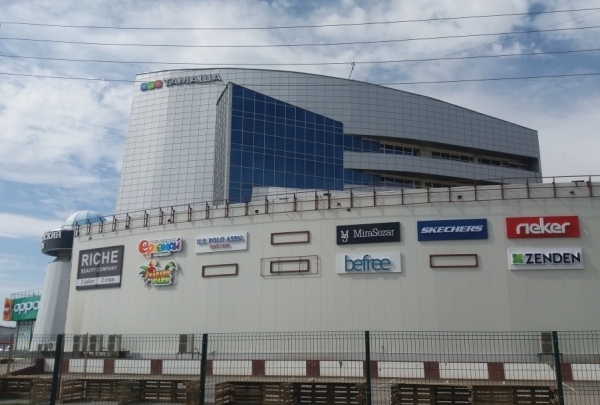 Check out one of the biggest shopping malls in Atyrau. 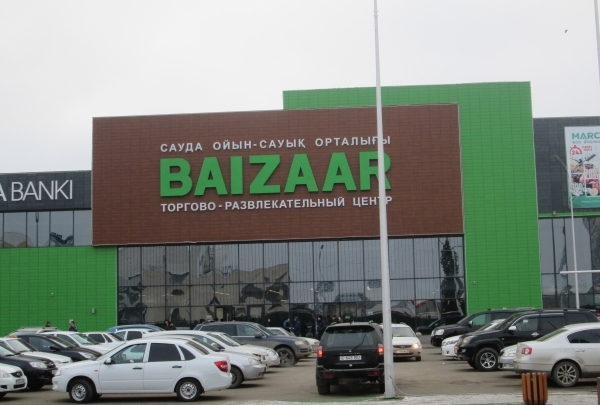 Baizaar is the most recently opened shopping center in Atyrau and also happens to be one of its largest centers. Explore the wares being sold in its brand-name shapes, sample food from the food courts. See and feel the atmosphere of the Great Patriotic War through the old military vehicles and war memorials. This place is also known as an open-air museum of military vehicles. The possibility to touch all of these old cars and planes in order to understand the bygone era better seems very impressive. You can also bring flowers for the eternal light in memory of all the soldiers and non-military people who died in this War. The place serves some of the best Asian cuisine in the area. It also promises a lot of fun for your kids! The place offers a great variety of European, Asian, Korean and Japanese dishes. On Friday and Saturday, you can take part in disco and become a star of the dance floor! Wide range of options of local gifts and souvenirs in shopping center Nasikha. 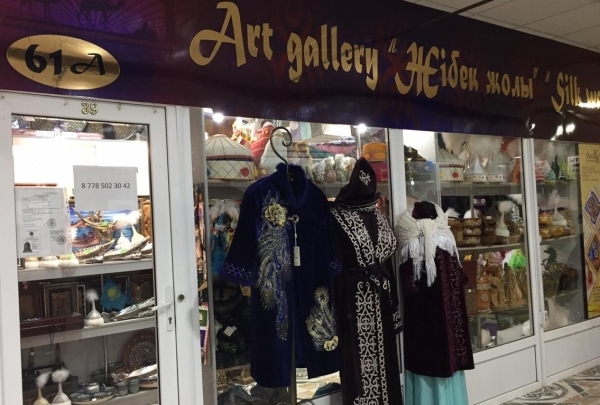 This art gallery is an amazing place for the guests looking for a store with plenty of traditional Kazakh tools, utensils, magnets and national Kazakh clothes. 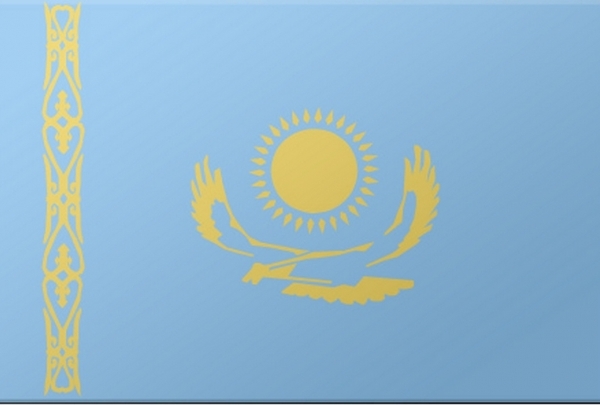 The items sold at this shop will let you bring a piece of Kazakhstan to your home no matter where it is! London-Beirut is a Lebanese restaurant serving classic delights in a friendly atmosphere. 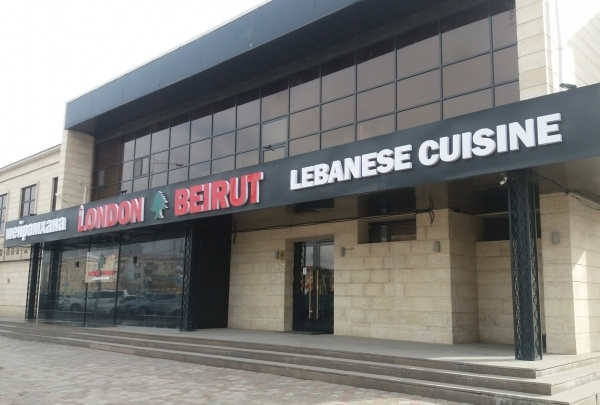 The restaurant provides a wide range of Lebanese options, as well as, classic European dishes, Italian pasta and international choice of wines and liquors. The atmosphere is very cozy and appeals to everyone. London-Beirut provides the perfect setting for you to relish delicious food in the company of your friends, family and loved ones. A place to walk around, spend time on the swings and make photos with nice sculptures. This park is a very new place in the city that was opened only at the end of 2017. 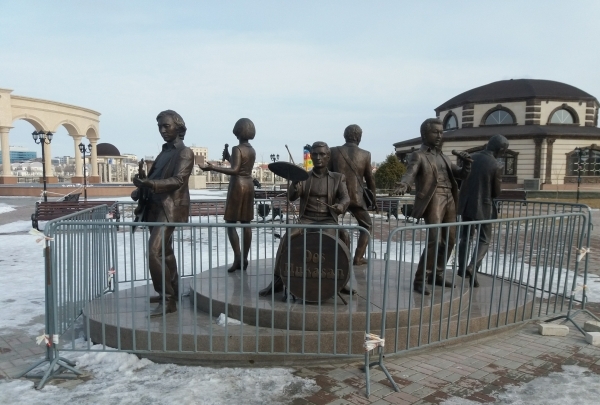 You may walk on the cute small bridges, make photos with sculptures of fairytale heroes and one of the most popular music band of Kazakhstan "Dos Mukasan". 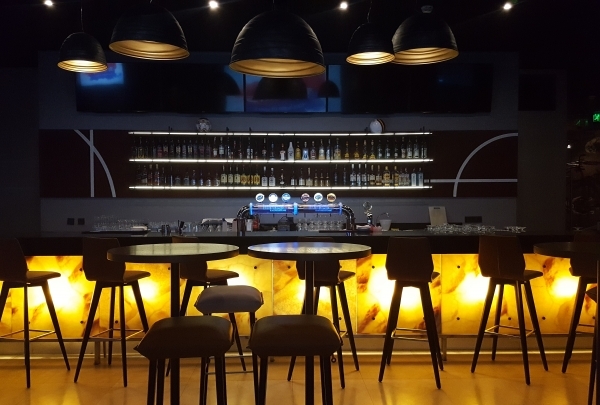 A local favorite, Bavarius is a modern-looking pub that offers a generous selection of food, beers, and music! A contemporary watering hole, Bavarius delights with a great selection of beers, some of them from their own brewery. The grub is a clever mix of pub food with local flavors and is a hit among the regulars. The pub itself is rather large and can accommodate parties. DJs and a dance floor keep the night moving and the crowd grooving. Good for hanging out with friends. The Art Museum has an impressive collection of Kazakh art, and the work is often about Atyrau. See the city in a new way! 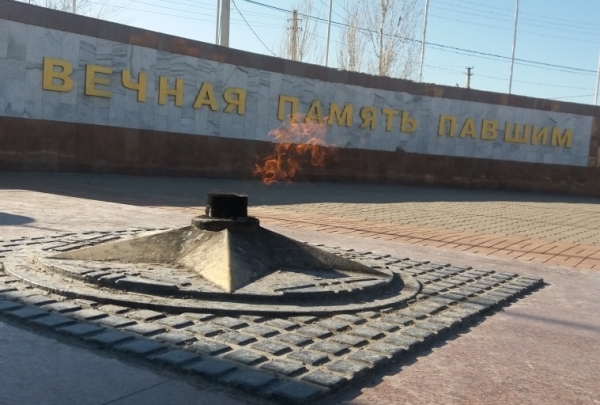 This historic plaza in the city of Atyrau has an impressive monument that celebrates the city's fabled past. This is one of the best restaurants for Turkish food in the city. An everyday-changing menu is the place's specialty. 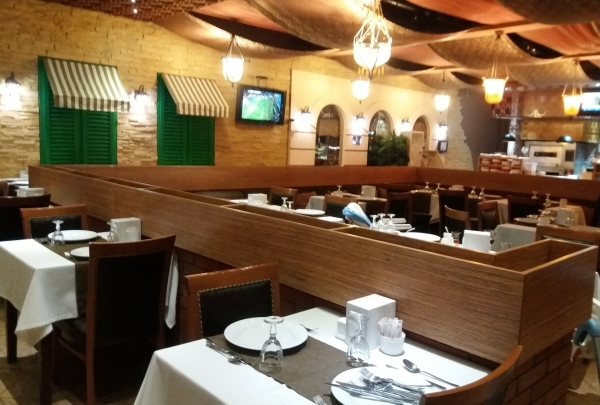 Visit this place, if you are fond of traditionally cooked kebabs and Shish Tawook. You will find an extensive variety of meat dishes. As a bonus, you may enjoy the ethnic atmosphere of this place through its interesting furniture, decorations, and Turkish instrumental music. Stroll down this central marketplace and find a plethora of stalls with merchants selling their wares. 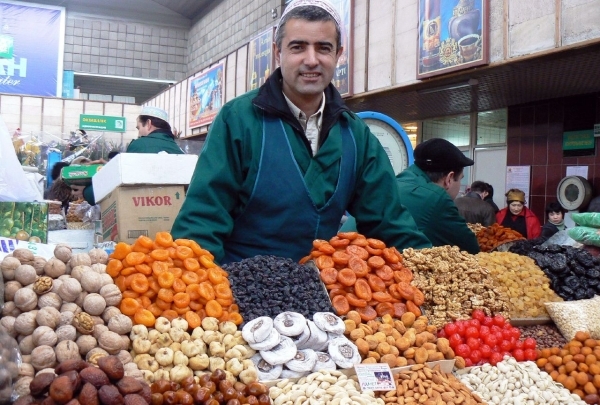 Buy and try exotic fruits and nuts. 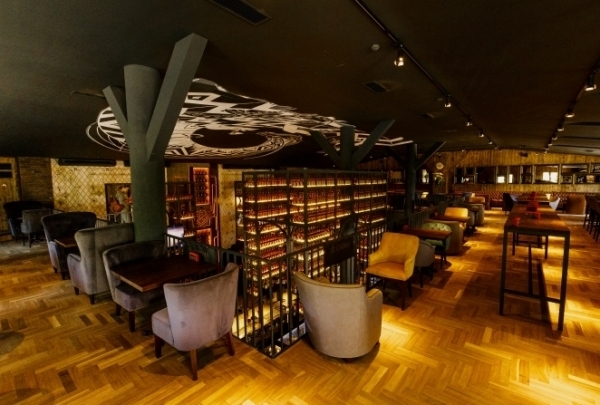 Ginza is a new addition to Atryau's night scene. 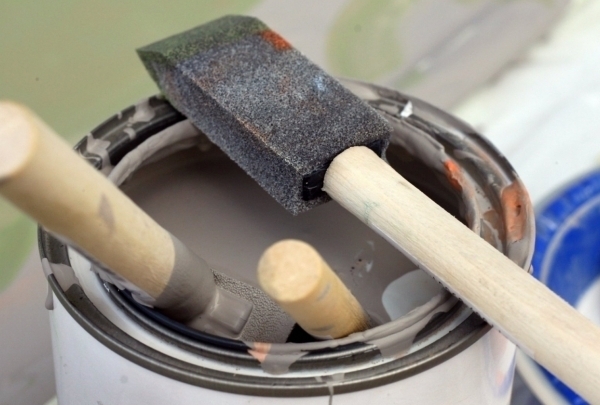 The beautiful interior design adds to the whole atmosphere of the place. 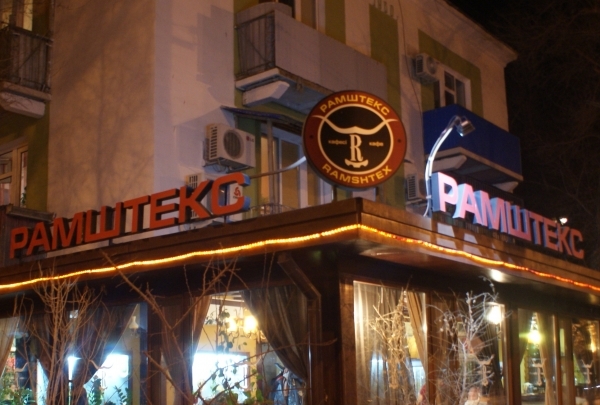 The restaurant offers great international cuisine and many drink options. Dive deep into Kazakh culture and try authentic national specialties as Besbarmak and fermentel camel milk at Samuryk Restaurant. Tuck into this cozy restaurant that serves European fare. 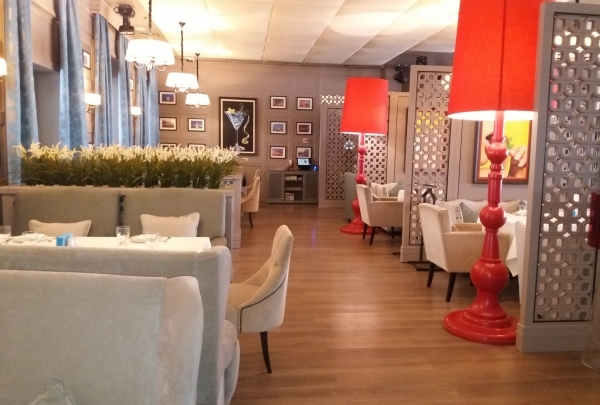 Enjoy a meal at Perchini, where you will sample Italian cuisine in an intimate setting. This restaurant is great for a night out with the whole family. Sip a cold brew at this sports bar. Unwind after a long day of work in our Champions Sports Bar and enjoy a meal form our classic American menu or sip a beer or cocktail. Good food, good sports, and good times! Cute place to have a breakfast or to warm yourself up on a rainy day. 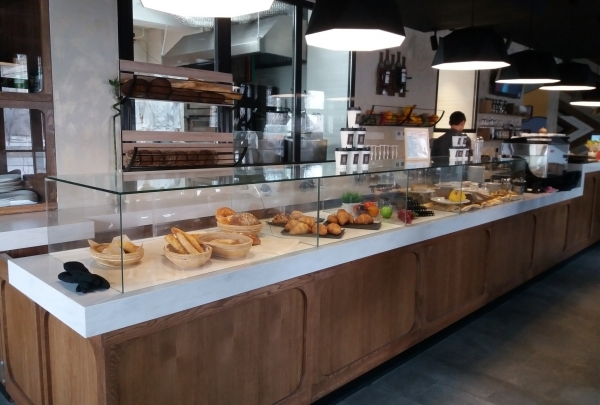 You will find a good selection of baked goods, and different types of teas and coffees are also served here. If you go with your kids, you don't have to worry as there is a special playground inside. One of the biggest shopping malls in Atyrau city. Visit this shopping center if you are looking for branded clothes or perfumes. The place also has a playground and a safari park that's perfect for families. Brand new restaurant for those who are fond of local cuisine. 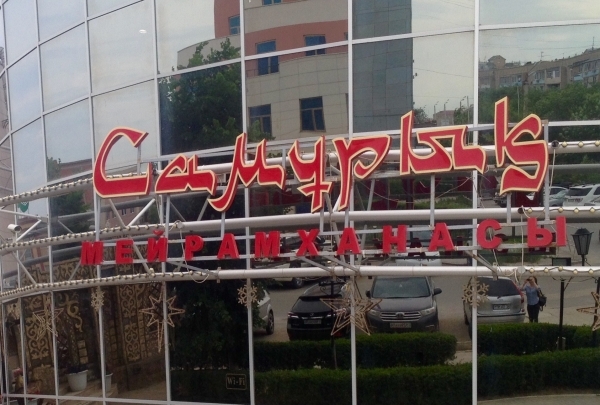 Shafran situated on Satpayev Street is the place to be if you are fond of Eastern cuisine. 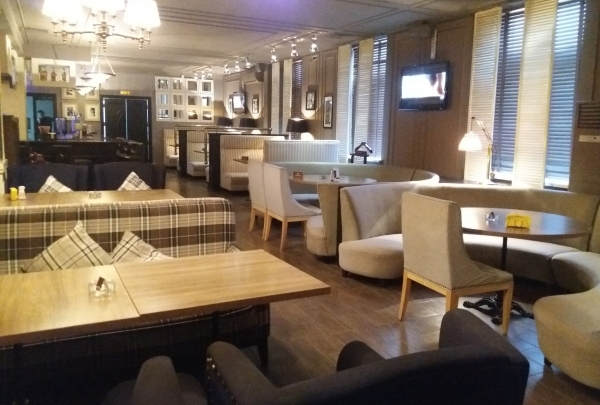 The calm and friendly atmosphere here is ideal for a date with your better half, business meeting with colleagues, dinner with family or for simply unwinding with friends.